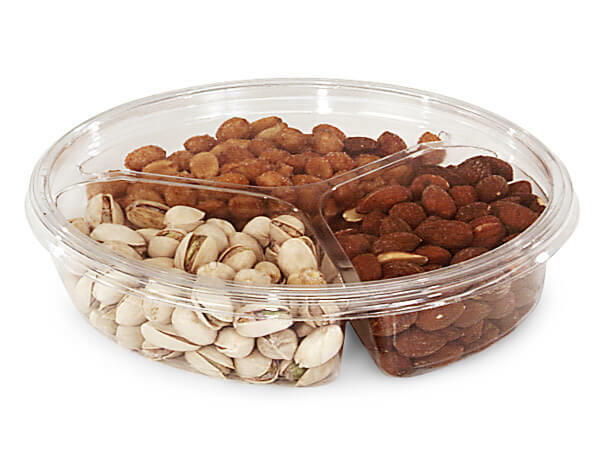 Large Round Clear Plastic Food Containers with 3 dividers are great for your gourmet foods. Container fits lid RLR and shrink band RSB3. Large lids and shrink bands SOLD SEPARATELY. Complies with FDA regulations for food packaging. Made in the USA.